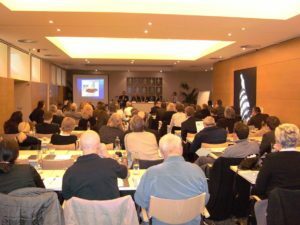 Ten years ago, on January 27 – 28, 2009, the first (of two) big conferences of TICAP (The International Coalition Against Prohibition) took place. This organization, founded the year prior as an umbrella organization especially against Tobacco Control, was in its budding phase. (The then) active groups, such as FORCES international, its Italian and Dutch divisions, Netzwerk Rauchen from Germany, Freedom2Choose from Britain, various Canadian and Danish associations as well as other smaller associations united and prepared to hold the first international conference of independent opponents to tobacco prohibition on European soil. And why not to hold this conference in the very den of the European lion, in Brussels, the center of regulation and patronization? To the pleasure of everybody involved, a fraction in the European Parliament invited us to hold our event in the rooms of the pseudo-parliament. The fraction in question was the Independence/Democracy Group (Ind/Dem) that existed in the legislative period up to 2009 and was chaired by Nigel Farage, then leader of UKIP. The first “International Conference against Prohibition“ was already completely planned, the registration of its participants were conducted (for security reasons by Identity card number) and the various journeys were booked, when the anti-smokers suddenly intervened. Regarding the EU institutions as their territory, the antis-mokers, via a lobby organization affiliated with the pharmaceutical industry, sought to prohibit us from using the EP premises. And they succeeded: One week before the appointed date, the presidium of the Parliament decided to ban the conference on its premises. On doing so, they adopted the antismokers’ arguments virtually literally (for detail please refer to the bottom of this page). Presumptuously they argued that the event would violate the „dignity of Parliament“, and that its contents were in conflict with the institution’s partial majority decisions against tobacco consumption. TICAP and Ind/Dem were outraged, but thankfully the Farage Fraction acted fast and arranged rooms in a convention room of a hotel in Brussels, which enabled the „Forbidden Conference“ – as it was now referred to – to take place on the planned date. Approximately 100 participants from Britain, Germany, the USA, Canada, Denmark, the Netherlands, Belgium and other countries flocked together, now even more determined than before. In various lectures and discussions “Smoking bans and lies“– according to the theme of the conference – were addressed. So it was about the political war against tobacco, and its pseudoscientific undermining, especially the fairy tale of harmful secondhand smoke. The anti-smoking lobby, including its relationship with relevant pharmaceutical companies was also discussed. A wide range of presentations from scientists (like Dr. Gio Gori – by video), politicians (like Godfrey Bloom, MEP) and activists (like Gian Turci) are still available on the playlist on Netzwerk Rauchen’s Youtube account. Due to technical reasons, TICAP could not make its own recordings on the second day, that is why Nigel Farage’s speech (amongst others) is not available. Unfortunately various manuscripts of speeches (which in some cases could not be held on site, because the scientists in question were prevented from participating, either by pressure from the anti-smoking lobby or by illness) are no longer available online. This is due to the fact that the corresponding archives from FORCES International do no longer exist. Netzwerk Rauchen keeps a number of those documents which can be made available on request. The conference was a complete success: Activists and interested parties could get to know each other and exchange their views, some of the media covered the event (for example various articles in German mainstream media, partly even positive). The active phase of TICAP was continued with the Brussels Declaration and a second conference (in The Hague) the following year. On the evening of the first conference day, the participants had the opportunity to meet in a smoker-friendly bar in Brussels (something in 2009 still possible in Belgium). After the end of the conference, the participants had the opportunity to go on a guided tour of the Brussels building of the European Parliament. It is a pity that our movement since then has not achieved a real breakthrough. There remains a whole lot to do. Christoph Loevenich is an author and anti-prohibition activist. He resides in Bonn, Germany. ++++ Christoph Lövenich ist Autor und Antiprohibitions-Aktivist. Er lebt in Bonn. Thanks for the “Throwback” Christoph! Whew… ten years ago! A lot of us are still out there fighting just as hard, but not in a strongly coordinated form at this point. The FORCES BOD is currently discussing our thoughts and plans as we move toward the 2020s and possible expansion to include our vaping brothers and sisters.